Water Institute member Dr. Konstantinos Gkrintzalis has been awarded an SFI Starting Investigator Research Grant (SIRG). The SFI Starting Investigator Research Grant (SIRG) Programme aims to support excellent postdoctoral researchers and others who are yet to hold an independent research post in taking the initial steps towards a fully independent research career Dr. Gkrintzalis study is “revolutionising toxicity assessment to study the biological implications of pollutants and novel materials to safeguard the freshwater ecosystem”. Traditional approaches to monitor pollution are mostly based on evidence of chemicals presence or the changes in diversity of fauna and flora in the environment. Such measurements are weak and quite limited and fail to produce any diagnostic insight or predict future impact before pollution reaches precarious levels. Understanding the mechanism of actions of chemicals on organisms requires detailed molecular measurements which far more sensitive and can predict pollution. 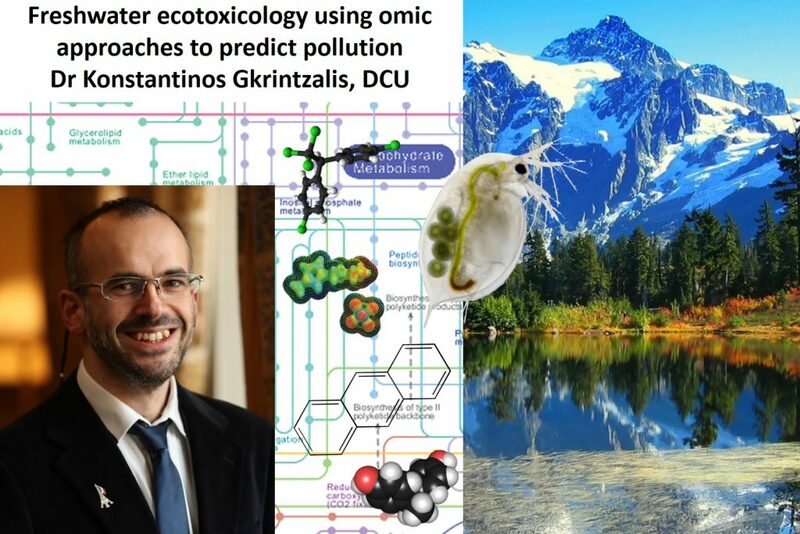 Through this research Dr. Gkrintzalis envisages a revolution in ecotoxicology and risk assessment with a direct impact to pollution monitoring in freshwater ecosystems in Ireland. He wants to introduce novel sensitive metrics such as metabolic pathway perturbations to assist the safeguarding of the aquatic environment. Dr. Gkrintzalis says “It is a great honor and responsibility to make the best and keeping up to the task by this award, towards making an impact in education and research innovation within my host institute, an interactive environment such as Dublin City University”.